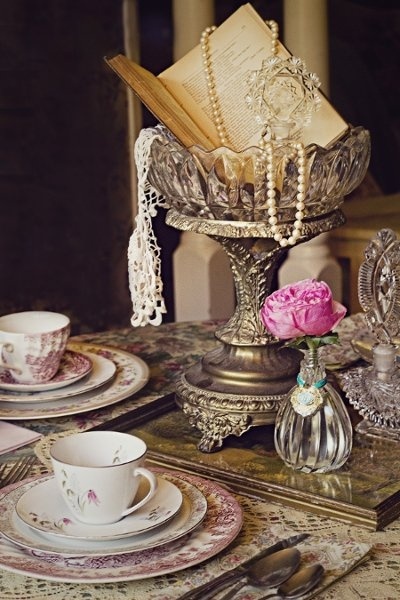 Pearls, Silver, Old Books and Crystal Centerpiece – this has a great vintage vibe, and is perfect for a luncheon or shower. 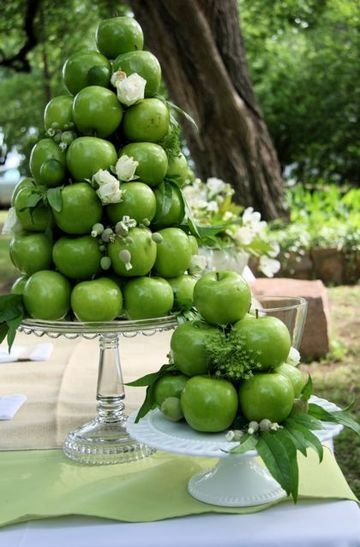 Stacked Green Apples Centerpiece – add a nice pop of color, texture and height without breaking the bank. 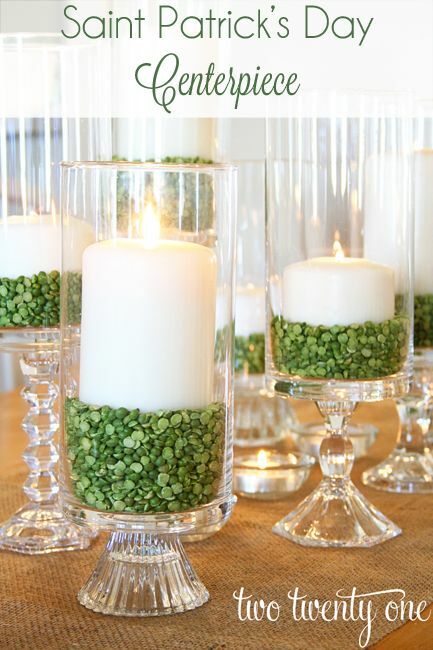 Hurricane Candles and Beans Centerpiece – shared on Two Twenty One, a great idea for an easy and adaptable centerpiece. 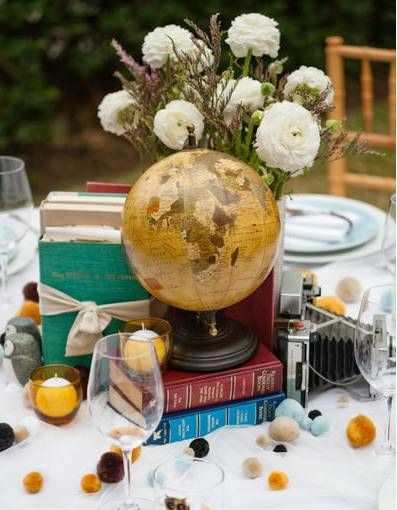 Books, Globes and Candles Centerpiece – an arrangement that speaks of personality and depth. Some planning and collecting of items beforehand would be a little tricky to acquire, but worth it. 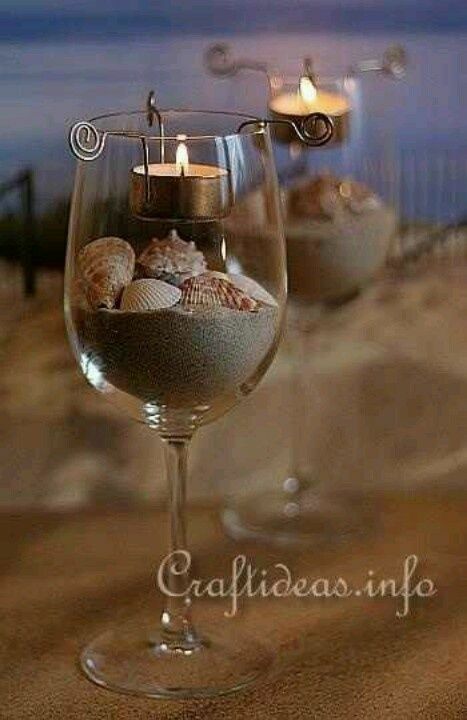 Sand, Shells and Candles Centerpiece – an easy to do arrangement that could be made in any sort of glass. A quick trip to the local thrift store would most likely get you all of the glassware you could need. Try playing with heights and widths of glasses for different effects. 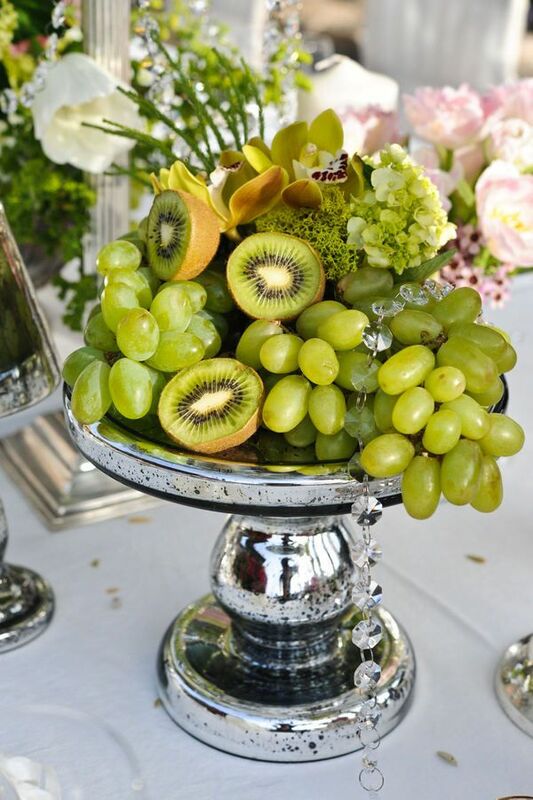 Fruit Centerpiece – functional and pretty! Edible centerpieces add both color and functionality to a table. Guests enjoy nibbling and admiring a pretty work of art. 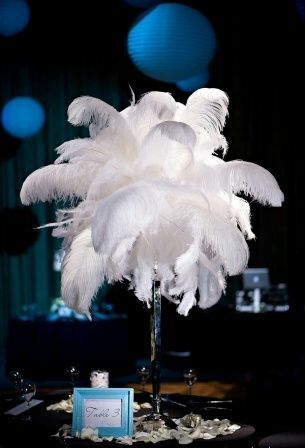 Feather Centerpiece– arranged on a tall platform, feathers add texture, volume and dimension to a table. With so many varieties of natural and synthetic feathers out there, you should have plenty of options to choose from. 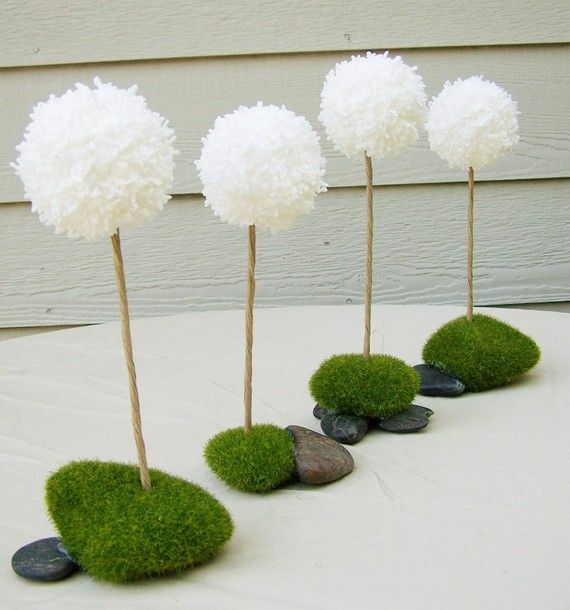 Tissue Paper, Rock and Moss Centerpiece – a completely untraditional look, but easy to play with height and color. Lots of options if you are making these yourself. 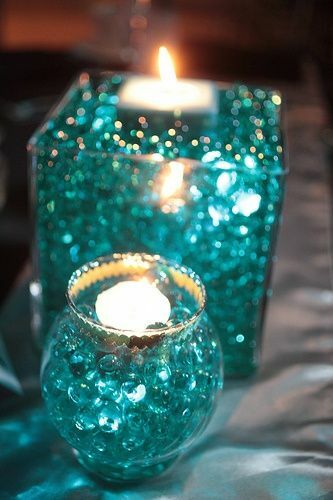 Glass, Candles and Beads Centerpiece – these look like marbles, but they are actually water beads that are used to in arrangements to help regulate water. Easily accessible at most craft stores, these jelly like beads come in several shapes and colors. 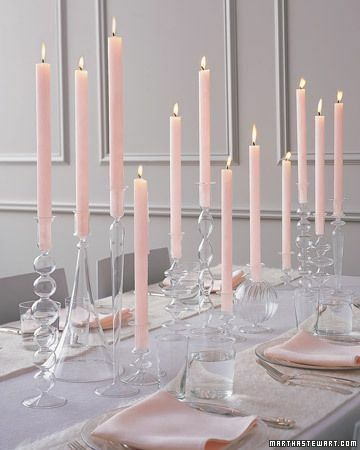 Glass Candlesticks and Tall Candles Centerpiece – a simple but beautiful combination. Finding the perfect candlesticks will be the biggest challenge, but with enough time to hunt for the right ones, it will create a beautiful effect on your table. What other non-floral centerpieces do you like? Share them with me on my Facebook page!